Ayesha Mahmud recently completed her PhD in Demography from Princeton University, where she was a member of the Metcalf and Grenfell labs. Ayesha is broadly interested in the interplay between human demography and infectious disease dynamics. Her dissertation research examined the social, demographic, and environmental drivers of the transmission dynamics and mortality of common childhood infections. 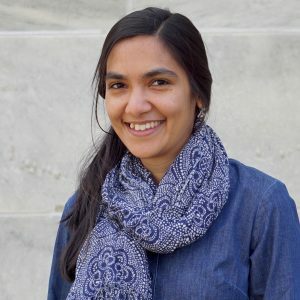 As a 2017-2019 Planetary Health Fellow, Ayesha will study the interaction between climatic changes and demographic shifts, and the consequences for the transmission of infectious diseases. Ayesha received her B.A. in Physics and Economics from Carleton College, Minnesota.